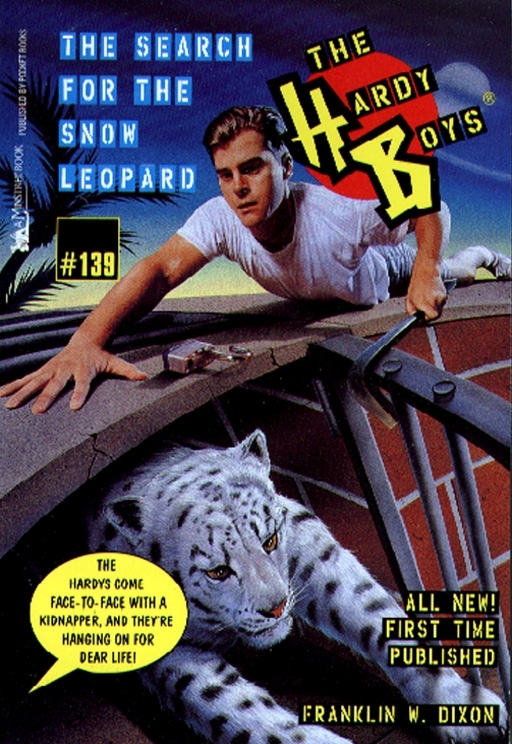 The hunt is on...and the Hardy Boys could end up being dead meat! Frank and Joe's latest case could give new meaning to the words "eat hardy"! A rare and beautiful snow leopard, a gift from Princess Salamaji of Rashipah, has disappeared from the Bayport Zoo, and the boys suspect foul play. Their suspicions are confirmed when the Princess herself vanishes...a victim of kidnapping! Their investigation leads them into a sinister world of jaws and claws, lions and tigers and snakes. But the most dangerous animal of all is the human kind, and the Hardys are headed straight into an ambush. The only way to save the Princess -- and themselves -- is to observe the law of the jungle: beat the hunter at his own game!